Do you know how to track a link using Google Search Console? It’s a great tool to leverage a ton of relevant website information. Google is a massive search engine, and you’ll want to harness this power by letting Google Search Console track your website’s performance in the search results. You’ll be able to glean information about how many people are visiting your website, how they’re finding it, and which articles are attracting the most attention. Let’s learn how to use Google Search Console. Google Search Console (GSC) is the new name for what used to be called Google Webmaster Tools. Since it’s quite new, I thought I’d write a post on how to navigate the dashboard, and the ins and outs of using Search Console. Using it is an integral part of any search engine optimization strategy that business owners, web designers, and marketing professionals depend on to access vital information, enabling them to grow and scale their businesses. Once you get a feel for the dashboard, GSC is easy to use. In addition to gaining valuable information about your website traffic, and how particular posts are performing, GSC will also provide data on whether site visitors are viewing your website on a smartphone or desktop, identify any security issues, take a look at your backlinks, and obtaining useful keyword information. You’ll also be notified of any errors pertinent to your website so you can correct them. In order to tap into the crucial information GSC has to offer, you’ll need to verify your website so it’s in Google’s database. However, before you verify your site, you’ll need to create a Google Analytics account, and install a code on your website for tracking purposes. You’ll see this screen after clicking Continue. Select the HTML tag verification method. You’ll see this code that you’ll need to install in the section of your site’s home page. Make sure the code is placed before the body tag. Update your editor and click Verify in GSW. If you don’t receive an error, you’re verified with Google Search Console, and will now have access to a wide range of information to help you optimize your business. If you received an error, make sure you’re placing the code in the correct location and try again. You can also verify your site using the All in One SEO plugin. Keep in mind, it will take about a week for any information to show up on a new site so be patient. You will need to populate your site with content in order to see any data. You can have as many sites as you want on Google Search Console. You likely won’t spend too much time in this area, but it does provide a snapshot of your website clicks over a 28-day period. Open the report for more information. GSW is an impressive tool to show which keywords your website is ranking for, as well as the position of each of those keywords. You can also see how many times your site has been seen in Google for particular keywords, and how many clicks each keyword is generating. Not only will you be privy to information regarding your keywords, GSC will help you find new keywords to rank for as well. The Performance tab, along with the URL Inspection tool, are the two areas in GSC you’ll be visiting the most, especially when you’re first getting started. Both these tabs will provide you with relevant information. Click on the two boxes on the right to activate them. They’ll turn from white to dark green and purple respectively after they’ve been activated. You’ll need to complete this step in order to view the information they provide. When you click on any of the colored boxes, you’ll see information pertaining to your Queries, which is another name for keywords. By default, the Query will give you information about your most clicked keyword. Below “Performance,” you’ll see a tab where you can change the date from 7 days to 16 months. In the bottom, right-hand corner, you can change the rows per page for easier viewing. The Clicks section will tell you how many times someone clicked to your website using a specific keyword. An Impression tracks the number of times a user saw your URL in Google based on a certain keyword. The CTR or click-through-rate is the percentage of impressions that received a click. You can determine your CTR by dividing the Clicks by Impressions to see the ratio between the two. The Position is the average placement of your website URL in the search results for a particular keyword you’re trying to rank for. The Position and the Clicks are the markers that provide the most relevant information because you want to know how many people are clicking to your site. This data under Queries measures a three-month time period. Click on Pages to see your most popular pages and posts, and Devices to see a breakdown of your clicks from various devices, such as tablets, smartphones, and desktop computers. I use this tool to submit every new page or post on my website to Google. GSC won’t know about your new content unless you submit it. Incidentally, this tool was previously called Fetch as Google, which was discontinued on March 28, 2019. After you’ve submitted your URL, you’ll see this screen where you can request indexing and test the live URL. That’s about it when it comes to the URL Inspection tool. If you get a message that your URL is not a Google, you can check out any errors that are sited. Sitemaps allow you to submit all of your website posts and pages into Google for indexing. It’s easy to submit a sitemap, simply add in “Sitemap.xml and click Submit. I don’t use the Products tab, but you will find useful information in the Links tab, such as the pages on your website that are linked from external pages. You can also see your internal links from within your own site. How is this data useful? Let’s say you leave a comment on a someone’s site, along with your website link. The Links tab lets you see where the link you left is being linked to. You can also see the top linking sites that are linking to your site. How is this information applicable? For example, if one of your posts has a lot of clicks, you could capitalize on that information by turning that post into a YouTube video. That’s just one application that would be worth doing. Lastly, here’s an advanced trick you might find handy. This is a useful method to find a great ranking keyword that you’d like to write a post on. Go back to the Performance tab, and click on the Pages tab next to Queries. We want to view data on a particular post so click on the little square icon with an arrow in it. By doing this, a filter will automatically be created, which evaluates data for one specific page. The filter is to the right of the Date tab. If you want to clear a filter, in order to see all of your post URLs, click the x and it will disappear. Now copy and paste your keyword from the title of your post into Google to see how the keyword is performing. Shout hurray if your post is on the first page of Google. If you click directly on a post URL, and visit the Queries tab, you’ll be able to see what keywords your post is ranking for. You can then write a separate post using one of those high-ranking keywords. Pretty slick, right? It’s a great way to find keywords that will rank well. I use GSC every day in my affiliate marketing business. I like seeing how my business is growing, and what I can do to optimize it. If you’re looking for an opportunity to make money online, and eventually quit your job, read my review: “Is Wealthy Affiliate Legit Or A Scam?” here. 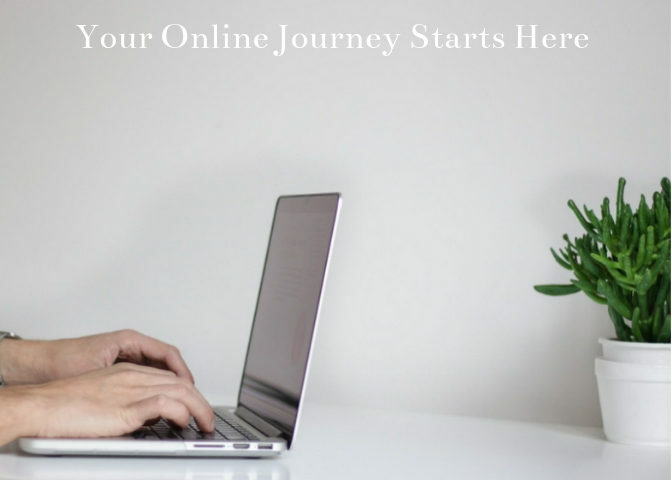 You’ll learn all the skills you need to run a thriving online business, and create a life you design. Click the link below if you’re ready to change the course of your life! Google Search Console is an amazing free tool to help you troubleshoot and optimize your business. Track your links so you know where your website traffic is coming from, who is clicking on your links, which keywords are converting best, and how well your paid ads are performing. You can also determine how your funnels are converting. There’s no reason not to use this powerful tool. It’s free, user-friendly, and will provide you with critical metrics and insights to optimize your site’s organic visibility. Get started with Google Search Console today! 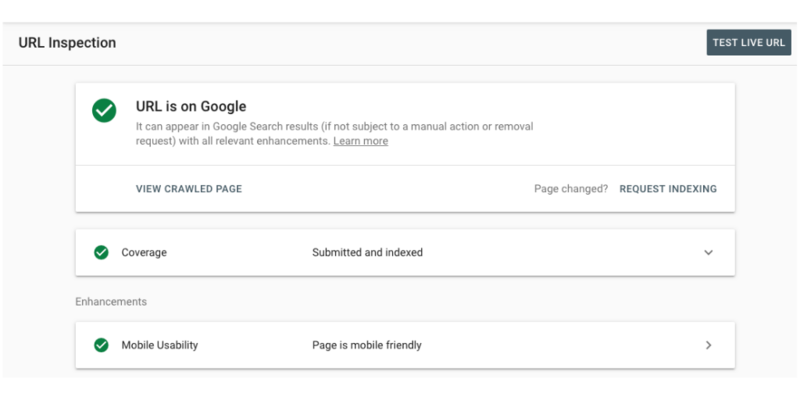 Are you using Google Search Console? Please share your favorite tips and tricks? What a great piece of information this is. Despite my vast knowledge, I see this is a great tool to improve one’s performance on Google search engine. I’ll want to know if there’s any tool to get the IP address of an anonymous commenter on one’s website. Thanks for this useful and informative site. Thank you. Google Search Console is amazing and has helped me improve and optimize my business. I’m sorry but I don’t know of any tools to capture IP addresses of anonymous commenters. I’ve really enjoyed reading this article as you’ve provided us with tons of valuable information. Google Search Console is an amazing platform. An individual needs this tool if he/she is really serious in taking their business to the next level. It offers many stats to look into to rectify those errors. In my opinion, submitting a URL for inspection, will help you get ranked a lot faster in Google. Thanks a lot for taking your time in writing this detailed blog post. Keep up the good work Holly! Thanks for your comment. Google Search Console is an amazing platform for those wishing to grow and optimize their businesses. I use it every single time a write a post as it does accelerate ranking! This is just perfect. I’ve been using Google search console but didn’t understand a lot of functions. I didn’t think I could track keywords and find site rank. I bookmarked this site for reference as it covers pretty much everything I need to know. I didn’t watch the video yet but I will when I get more time. The info here is something I want to dedicate some time to so I understand it. Thank you. GSC has a lot of different functions that are worth learning about, especially for tracking keywords and viewing site rank. Play around with the dashboard to familiarize yourself with the various tabs. It’s fun! I have just started on this website creation and optimization journey and a lot of the uses of the Google Search Console are kind of new but interesting to me. I have learnt a lot from reading through this article. Google has done a great job in providing such a tool that makes it convenient for website owners to track every single lead and action involving their online marketing efforts. I hope to be able to utilize all of these soon. I am bookmarking this page for further consultation. Thanks for sharing. Thanks for reading my post. It takes some time to learn the ropes on Google Search Console. Focus on the performance and URL Inspection tool tabs and you’ll do great! ﻿Great article and instruction about GSC! ﻿﻿GSC is a great tool to use for many other purposes as well. It is even possible to use it for finding the niche, getting input for great keywords and other great useful info. ﻿Thanks for sharing this valuable information. ﻿It is a great reference for many beginners in online and affiliate marketing business. ﻿Stay well, market better, convert best! Thank you Igor. GSC is an awesome tool that many marketers don’t leverage to its full advantage, that’s why I wanted to write a post about it. I hadn’t thought of using it to find a niche. Great idea! I appreciate you bringing that to my attention.